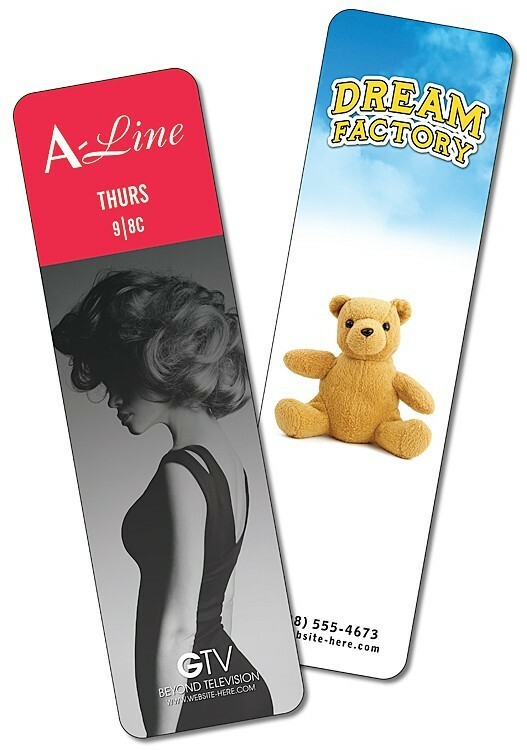 Plastic Bookmark - 2x8 Laminated - Square Corner 14 pt. 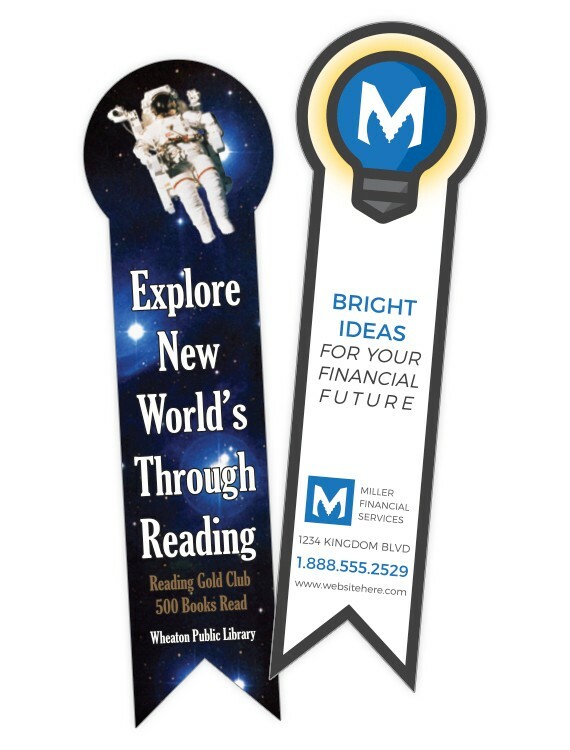 Bookmark - 2x8 UV-Coated (1S) - 10 pt. 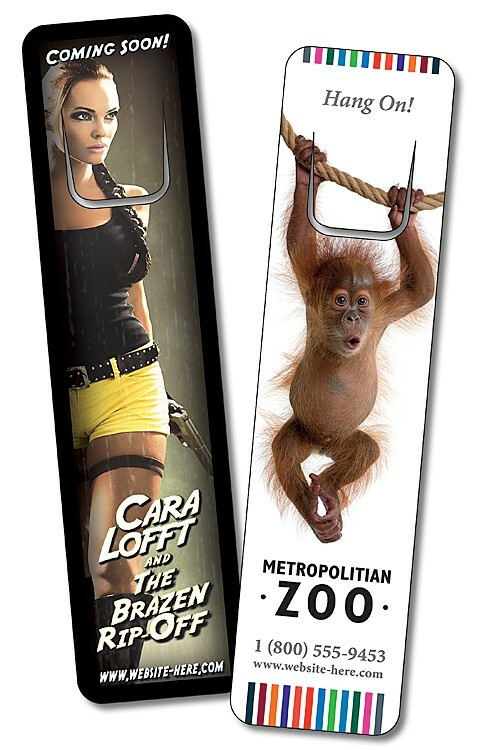 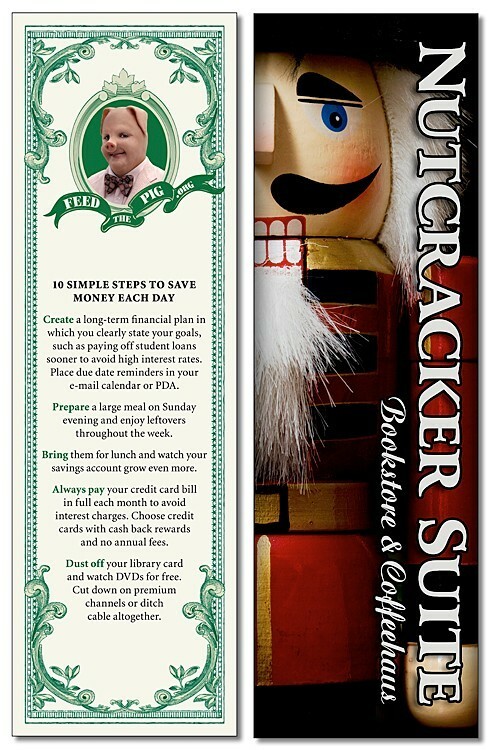 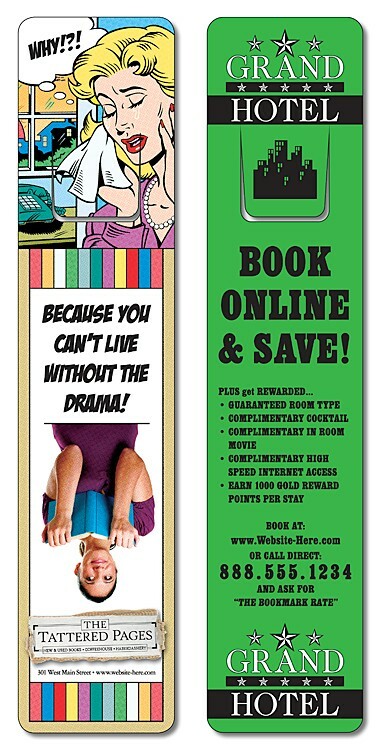 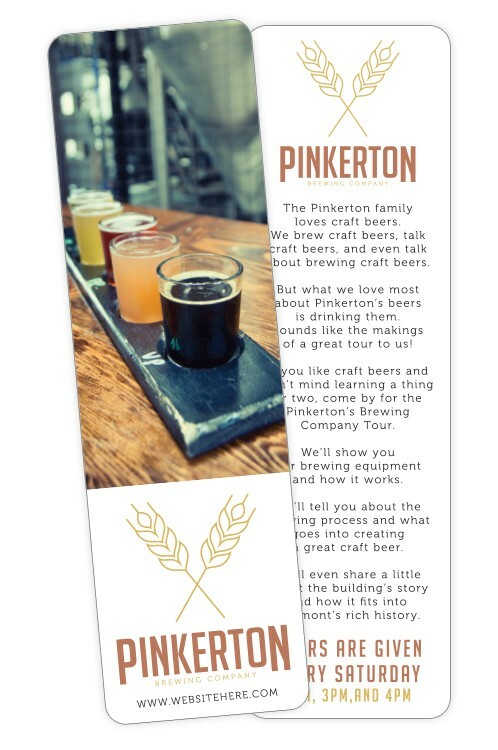 Plastic Bookmark - 2x8 Laminated - 30 pt. 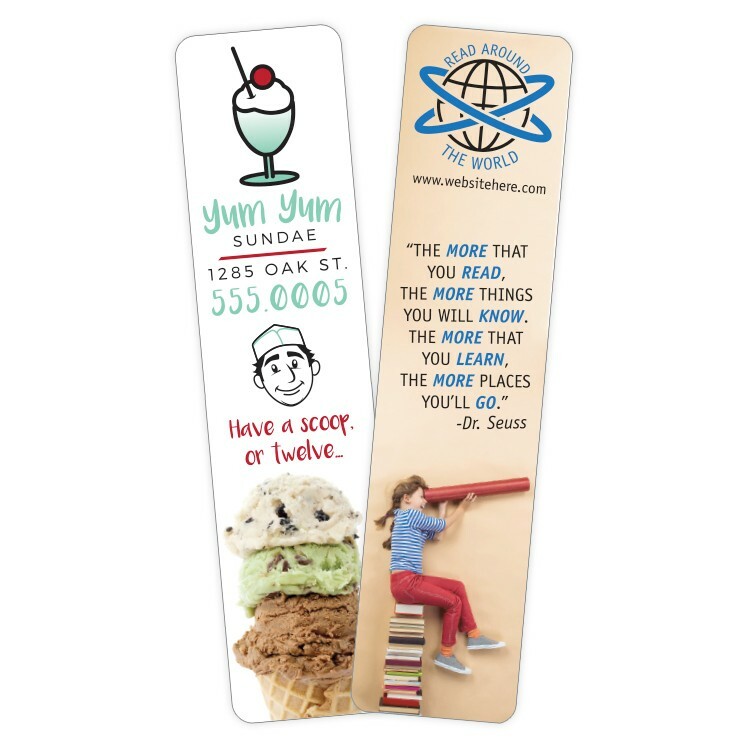 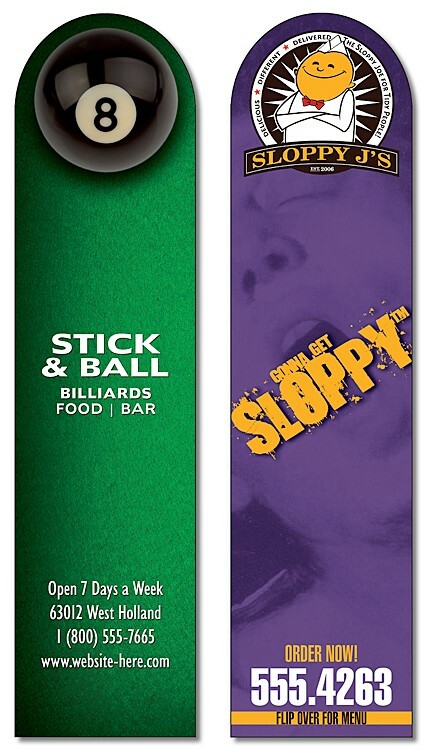 Bookmark - 1.75x7 UV-Coated (1S) with Round Tip & 1/4" Punch - 10 pt.